Yacht transport with United Yacht Transport out of Port Everglades is the yachting destination frequently known as the “powerhouse port” in South Florida. As one of the most distinct seaports in the United States, Fort Lauderdale’s yacht shipping port is among the most active ports in the country. Located at the epicenter of the Greater Fort Lauderdale and the city of Hollywood, Florida, Port Everglades has become a reliable seaport for United Yacht Transportation clients seeking a location for which they can confidently and securely ship their yacht without fear of mishaps as possible with inferior shipping companies. For our clients that will be using the United Yacht Transportation services, and seeking activities to do before they set off on their voyages, the city of Fort Lauderdale has much to offer. The Intracoastal Waterway is an excellent sailing route whereby interested parties can navigate the canals that have earned Fort Lauderdale the nickname of, “Venice of America”. Whether you sail yourself or would like to hop aboard one of the water taxi’s that frequent up and down the canal, the view is sure to be an enjoyable experience for all. Fort Lauderdale is also home to numerous museums United Yacht Transportation clients may enjoy such as the Bonnet House Museum and Gardens, Fort Lauderdale Antique Car Museum, Museum of Discovery and Science, Museum of Art, or Naval Air Station Museum. 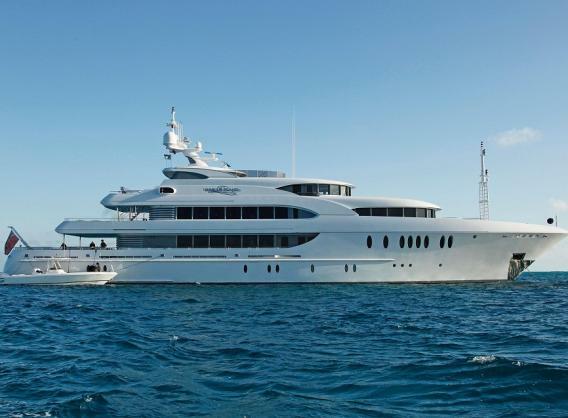 In essence, Port Everglades in Fort Lauderdale, Florida has become a consistent hub of the yacht shipping destinations because of its logistical reliability.